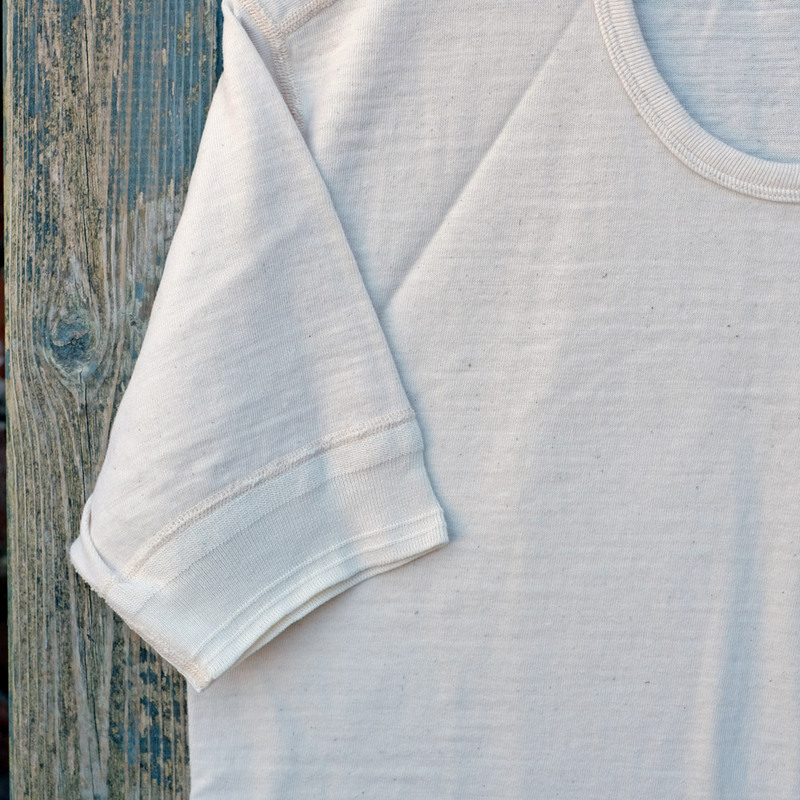 Calling a t-shirt a masterpiece might seem a bit much but when it comes to well executed details in a basic piece of clothing, this is that masterpiece. 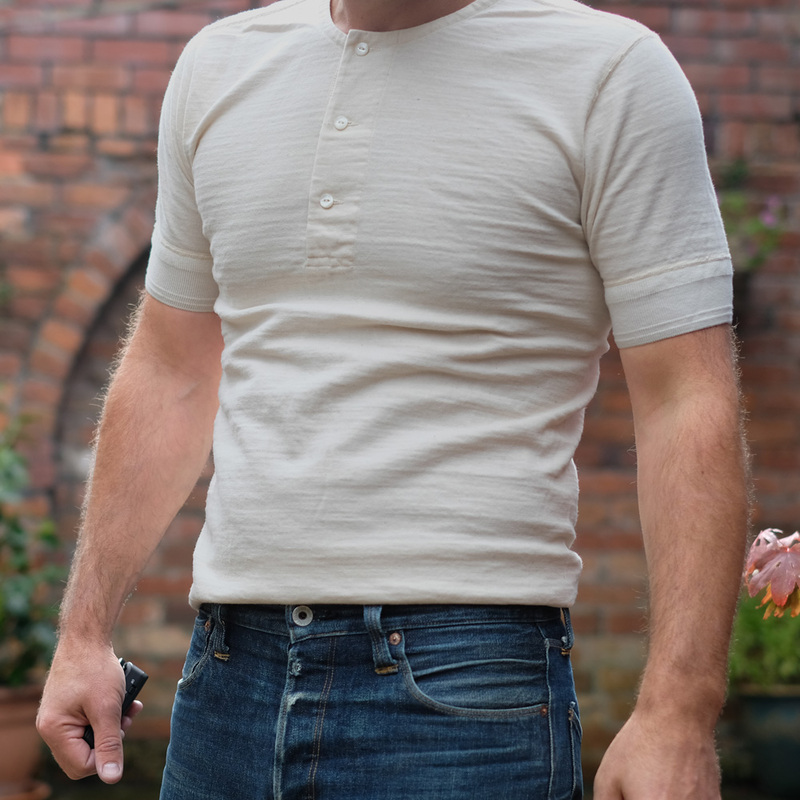 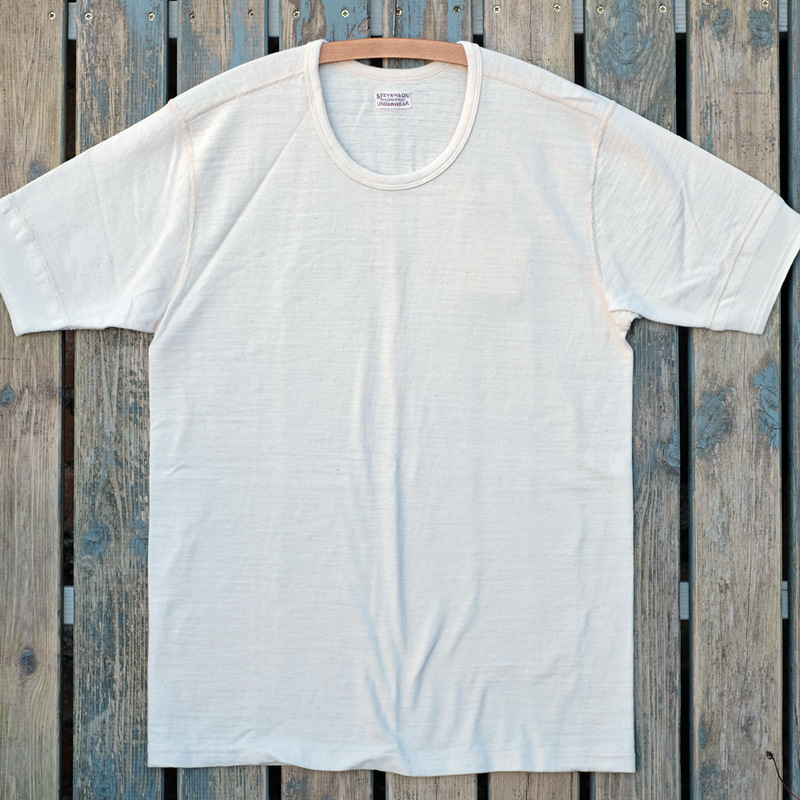 The cotton is an undyed organic cotton, very soft to touch but has on old-worldy texture. 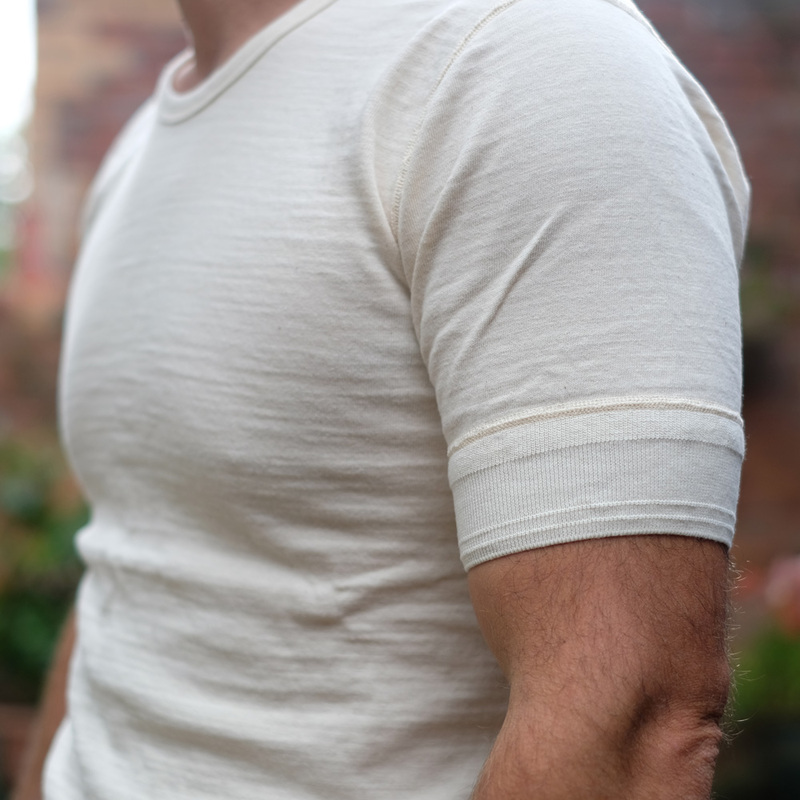 It is produced on vintage loop-wheeled machines at a sluggish pace which produces the slightly slubby/ textured feel and the soft handle that, regardless of multiple washes, will stay soft even though it is incredibly sturdy fabric. 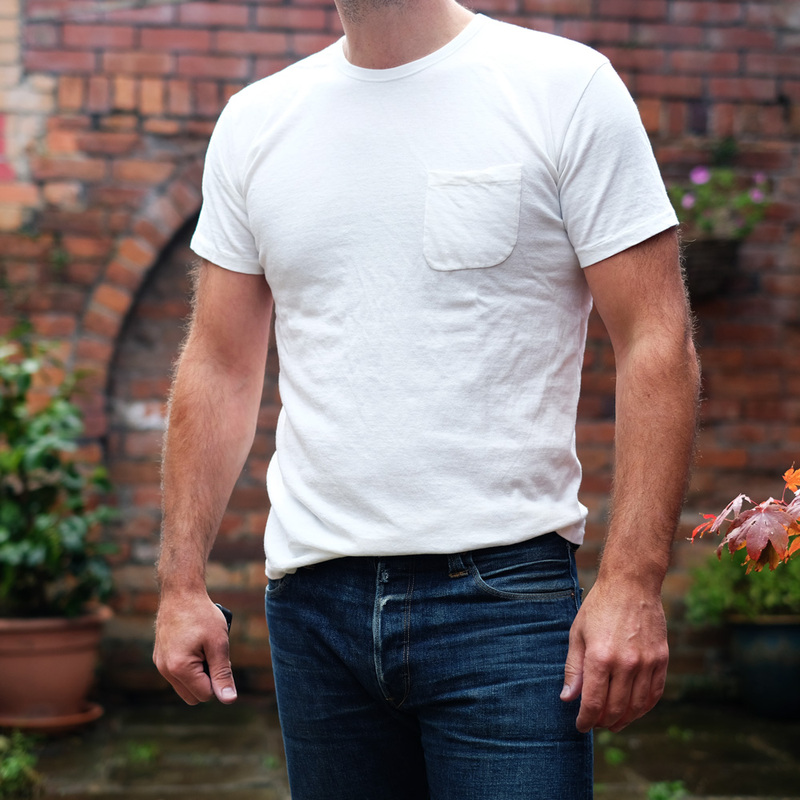 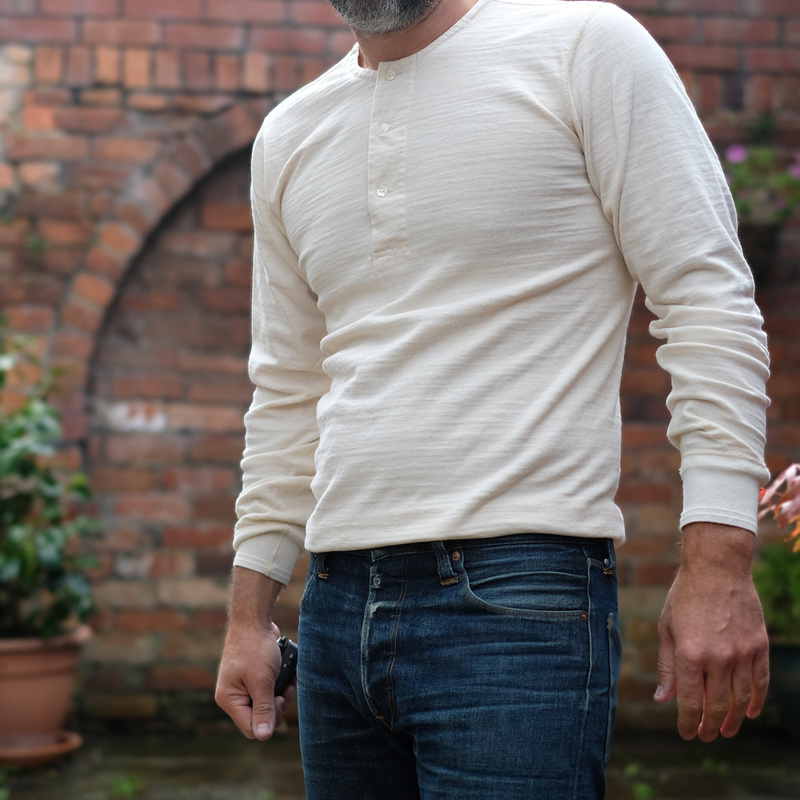 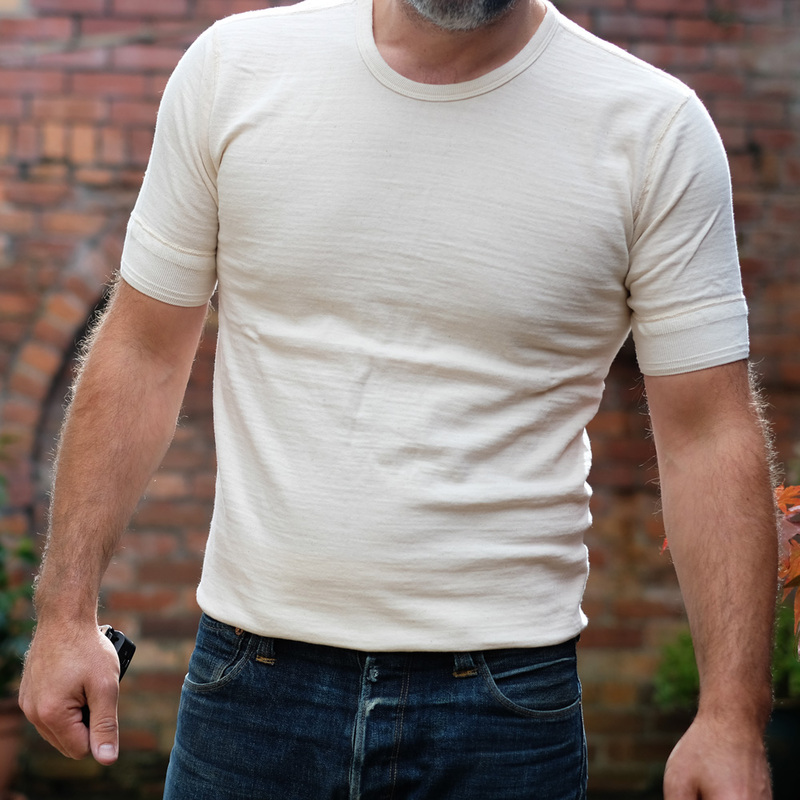 The fit is great, it fits and feels like a t-shirt they made for underwear back in “the good ole days” with intricate styling and fit details such as the tubular body and vintage tubular sleeve ribs, a change in direction of the shoulder fabric (for mobility) and double stitched ribbed neck band. 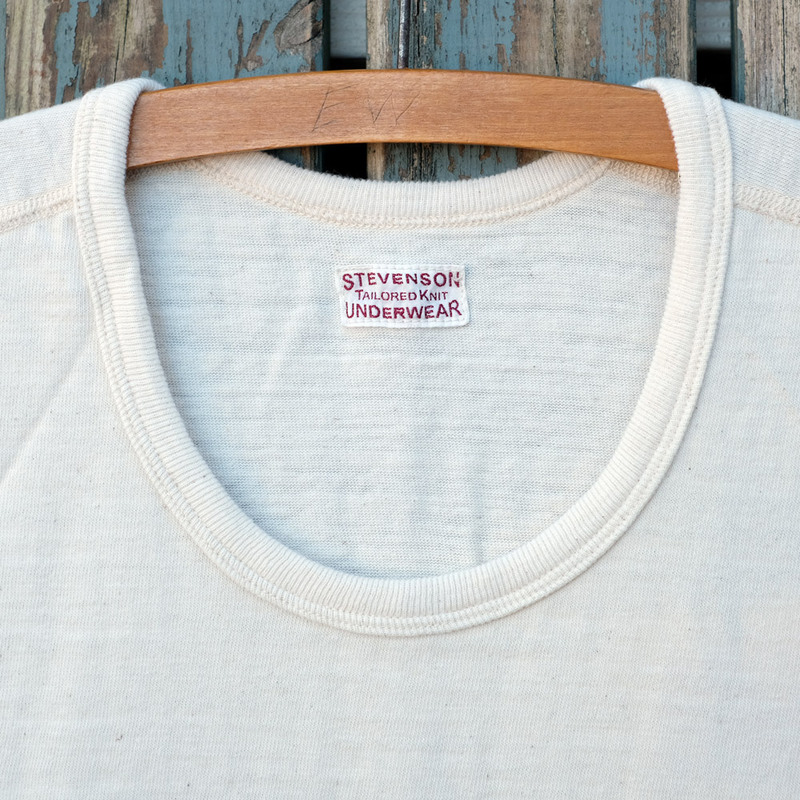 We know it’s just a t-shirt but it’s a very good one. 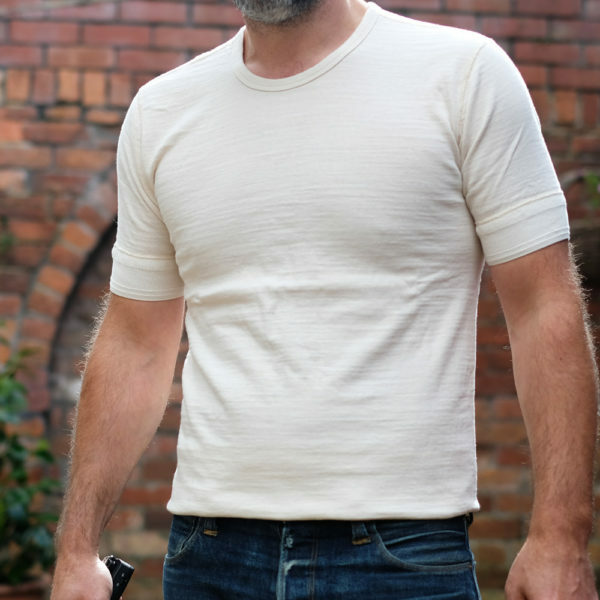 He is 5ft 10-11″ tall (180 cm), medium build weighing in at roughly 82 KG.